The story of its discovery in 1976 is the first clue to the fact that this is far more than a beautiful hotel in a spectacular setting. 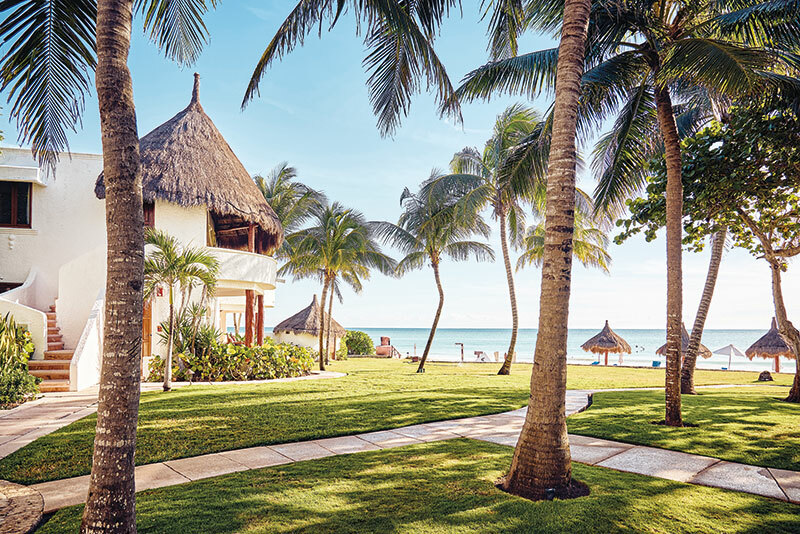 As the legend goes, an architect from Mexico City by the name of Jose Luis Moreno was flying over the ocean in a small plane, and he spied the unspoilt bay of Maroma with pristine white sand beaches and hundreds of acres of coconut plantations, seemingly uninhabited. Instantly, love ensued, and he returned the next day to enquire about buying it to build a home for himself on the beach. It was inhabited, after all, but by a small family of coconut farmers who sold him the land with its thousands of palm trees and private bay. Senor Moreno built a singular hacienda for himself (thatched adobe roof and white stucco walls, soaring ceilings and massive windows) and left the land untouched. A small second and third palapa was added, until finally it became an intimate private compound. The fact that this is Mayan land, and the local communities play a vital role in the preservation of history, and that the world-renowned Mayan ruins of Coba, Tulum and the UNESCO-protected World Heritage site of Chichén Itzá are all within a couple of hours’ drive made it even more vital that anything built here respects the centuries of history and the beauty of the land itself. The hotel itself has managed to preserve the countless acres of lush tropical jungle, with just 60 rooms built in the traditional palapa and hacienda style. 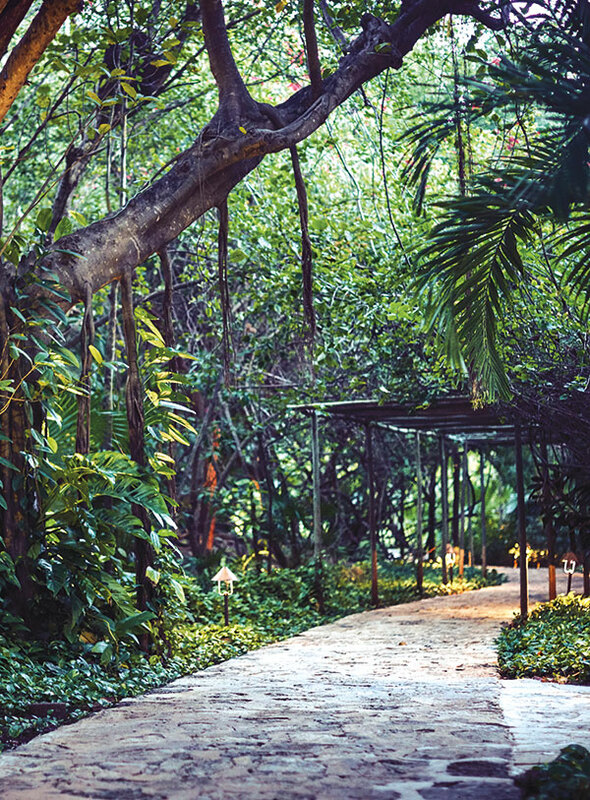 Winding paths of palms, bougainvillea, mango trees and cacti lead to the rooms and the beach. The gleaming white palapas nestled amongst vast foliage, the numerous pools hidden amongst the paths, the parrots, iguanas and various small strange creatures everywhere, the Mayan stones with etchings of gods and goddesses and the fragrant smells from the herb gardens all make this a magical place. However, this magic was not the only reason I had made the short three-hour hop from New York to Mexico. I had come alone, having heard wonderful things about the ancient rituals of Mayan healing, of using herbs, seeds and all the local plants to treat, cure and maintain, but most of all to learn about the ancient tales of the power of the earth, what it produced and how women, over centuries in Mayan culture, have been the keepers of this knowledge. Quite like the Indian culture in which I had been raised, the Mayans believe in the medicinal and healing properties of their plants and herbs. 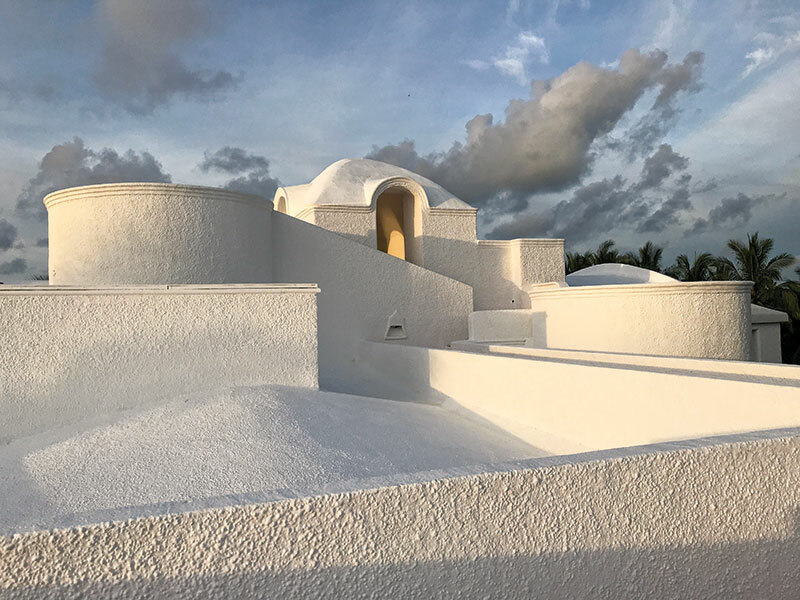 In addition to that, they also attribute certain human characteristics to some of these, and the Kinan Spa at the Belmond Maroma is one of the main keepers and practitioners of this knowledge. Arriving at this peaceful place entails a short drive through the jungle, into a stunning courtyard resplendent with a thick overhang of palm trees. Having travelled through Mexico on numerous occasions I have always been charmed by the gentle warmth of the people, and the staff here are utterly gracious. Walking into the traditional entrance with the 40-foot thatched ceiling, being handed a margarita and then led to my stunning suite on the beach past the resident parrot named Adalita and the most beautiful pool I have ever seen (encircled by towering palms, hibiscus trees and mangrove creepers) is the perfect way to begin this inward journey that I have planned for myself. Each room is essentially a palapa with a thatched roof, beautiful arched doorways and massive balconies with a hammock overlooking the ocean. While we may consider hammocks to be the place to relax and unwind, to the Mayans the hammock is central to their existence. Most normal Mayan homes are small: farmers and locals had tiny huts within which they raised entire families. Mothers gave birth in hammocks, families slept in them, grandparents passed away in them (not in hospitals). Their homes have massive wooden beams under high thatched roofs over which hammocks could be swung up and stored during the day while the floor space was used, and would be taken down at night for entire families to sleep in. Having learnt this upon my arrival gave me a new-found respect for this 12-foot piece of knotted cloth. I was to learn of many such things, big and small, during my stay there. I set out to explore the gardens on the property which grow the herbs, seeds and plants used in all the rituals — medicinal, massage and what they call ‘the slow beauty’ movement. Headed by a wonderful lady called Cinthya Alvares, the slow beauty concept is one they believe is essential to our well-being as women — by setting daily, weekly, monthly and yearly rituals, we can practise good health and maintenance over a passage of time. It also believes that good things take time, and we need to enjoy the process (the meditations every morning, for example) and not just be focused on the result. 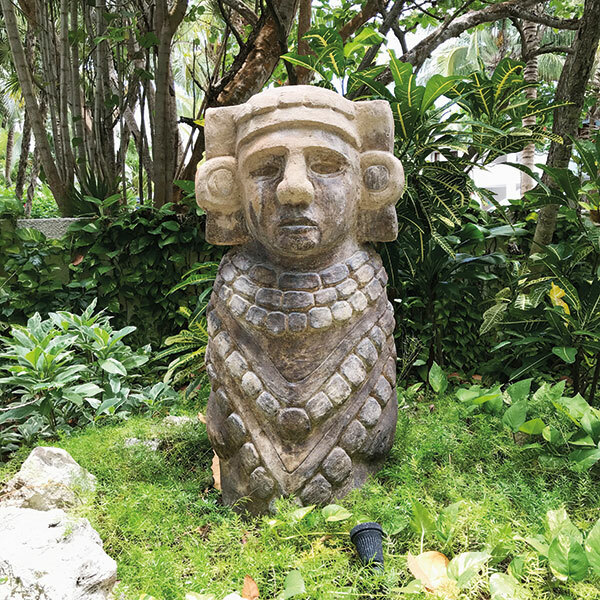 These habits draw from the Mayan culture, along with some local wisdom. The Kinan Spa (Kinan means the healing power of the sun in Mayan) at the resort is literally and figuratively at the centre of it all. It was built in 2005 with the help of Mayan masons precisely according to their belief in astronomy, aligned to the stars to keep the energy flowing. The Mayans were renowned for their study of the stars, solar system, moon and sun. They incorporated these beliefs into every aspect of their lives, including architecture and medicine. What is fascinating is that to this day, these practices are held in the highest regard and incorporated into daily life. I certainly felt the calm and a change of energy when I walked into the space. Soaring thatched ceilings and hundreds of trees greeted me, along with the chirping of birds, soft splash of the fountains and buzzing from the beehives that housed the famous Melipona bees. These are stingless bees only found in that particular part of Mexico and are so valued that the little honey they produce (a mere two litres annually) is only used for medicinal and healing purposes. 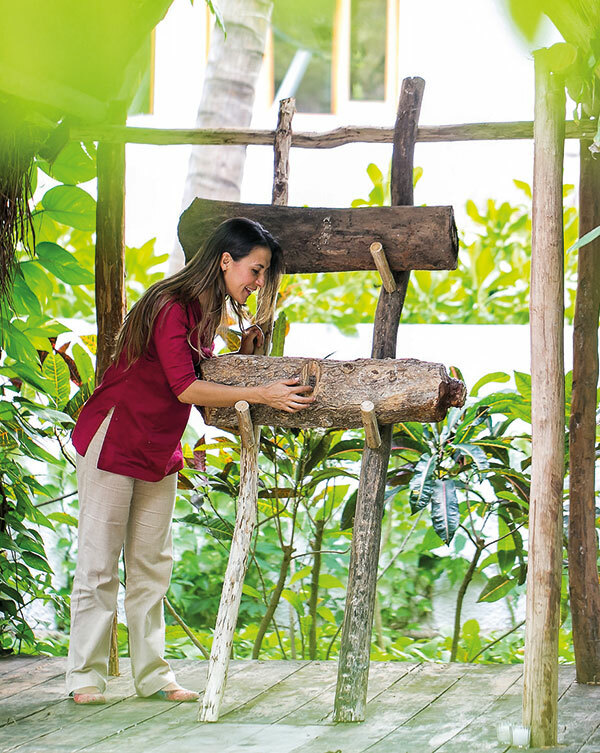 It takes many years of training to learn to cultivate these bees and the Maroma is one of the few places that houses them. I was thrilled that the source of my beauty treatment was so close at hand, guaranteeing freshness and (in my mind) an extra glow! Before my three days of treatments, the first order of business was to understand the reasoning behind all the potions, herbs and history of Mayan rituals. I sat down with Alvares, who told me a few amazing tales! The Mayans believe that every herb, plant and seed is imbued with either male or female qualities, and these qualities temper, enhance, heal, strengthen and so on. She laid out the various seeds, legumes, herbs and talked me through every one of their qualities. 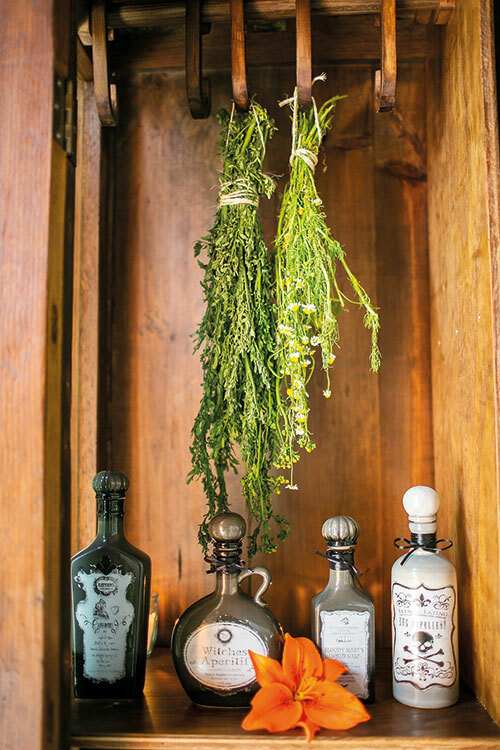 For example, black beans and rosemary are known as the Grandfather (bringing with them a strong cold wind from the north — also considered knowledgeable) and white beans or the ruda herb are known as the Grandmother (coming from the south: soft, warm and unconditionally loving, and a motivator). Peppercorns, cloves and cinnamon are considered to be the Father (coming from the east and working in tandem with the Grandfather for knowledge and wisdom) and rice represents the Mother (coming from the west and signifying abundance, plenty and a caretaking quality). In Mayan mythology the Mother was considered to be the strongest power, and was the only one who was allowed to go near and grow certain herbs and plants that sustained their families and also for medicinal purposes. Females are the holders of the greatest knowledge and yet, in ancient times, were never allowed to be the shamans as the men were. It is thought that this was because, as mothers, women have the sixth sense and react with their senses…which would make the job of being a shaman or holy man virtually impossible, as their ability to sense and see danger was too great. It is a powerful myth and all the statues, etchings and icons of the female goddesses that are scattered through the grounds attest to it. The strongest kings and gods in Mayan culture had even stronger females as their mothers or partners, and the belief in the absolute power of the female is very strong. Armed with all this information, I sat down to make amulets for myself and the people closest to me under the watchful eye of Alvares. Amulets are a collection of various herbs, seeds and grains in small bags made according to the particular need of the moment or the personality of the person for whom it is being made. We combined star anise (which brings good people into one’s life), along with some white beans (the Grandmother — caring, nurturing and strong) and rosemary (Grandfather — for strength, steadfastness and wisdom). Lastly, I added the herb ruda that serves as a protector. Each amulet I made combined different elements for the different people I was making them for, and I have held on to mine since I returned…fully convinced it is working its magic! To fully take advantage of the short time I had at my disposal, I allowed myself to be led into a brilliant clay massage with hot stones, and a temazcal ceremony of purification and transformation, connected to the energy of the universe, the phases of the moon and the elements of life — air, fire, earth and water. And what’s more, I was guided by a Mayan shaman! This was part of the journey I had wanted to take, a process of discovery about what was important to me, of how to slow down and pause for the small moments, and in the midst of this beautiful luxurious setting with its impeccable food and service, and a supply of delicious margaritas, I had found it…through ancient myths and modern-day herbs, through allowing myself to believe in more than what meets the eye.